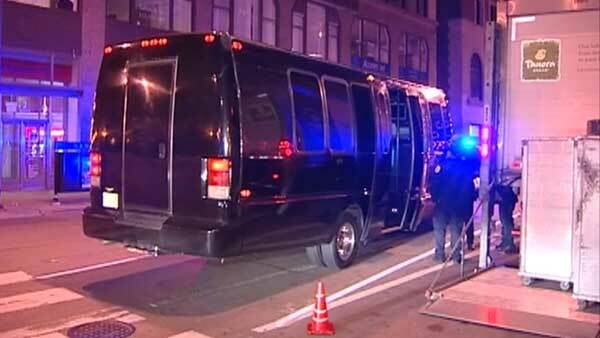 CHICAGO (WLS) -- A woman was wounded in a shooting inside a party bus on Lake Shore Drive, police said. Investigators said shots were fired on the bus around 2:30 a.m. Wednesday. The bus stopped near the intersection of West Madison Street and North Michigan Avenue in the Loop. Police said the woman was shot in the leg. She was taken to Northwestern Memorial Hospital in good condition and is expected to be OK.
Officers are questioning several people who were on the bus. Investigators said the shooting appears to be accidental.